Gemini Rail Group has developed an employee wellbeing policy and strategy to both manage its obligations and in recognition of the benefits of maintaining the mental health and wellbeing of every member of our team. The policy covers Gemini Rail Group’s commitment to employee health, the responsibilities of managers and others for maintaining psychological health, health promotion initiatives, communicating and training on health issues, the range of support available for the maintenance of mental health, and the company’s commitment to handling individual issues. The aim of this policy is to describe the commitment to the mental health and wellbeing of employees in its broadest, holistic sense, setting out how the company fulfils its legal obligations, the responsibilities of different functions and specialists and the range of services available to help employees maintain health and wellbeing. The Company recognises that wellbeing and performance are linked. Improving employees' ability to handle pressure and to balance work and home life will ultimately lead to improved individual and organisational performance. The Company has legal obligations under health and safety legislation to manage risks to the health and safety of employees. In addition to reducing safety risks, this means operating the business in a way that minimises the risk of harm to employees' mental health, for example by ensuring that the demands of jobs are not unacceptable and having policies and procedures in place to support individuals experiencing mental ill health at work. The Company will put in place measures to prevent and manage risks to employee wellbeing, together with appropriate training and individual support. It will also seek to foster a mentally healthy culture by incorporating these principles into line manager training and running initiatives to raise awareness of mental health issues at work. The Company has a legal duty of care to employees to ensure health at work, as set out in the Health and Safety at Work etc Act 1974 and the Management of Health and Safety at Work Regulations 1999. The Company will ensure that its policies and practices reflect this duty and review the operation of these documents at regular intervals. There are many toolkits available to assist you, please speak to your local HR Team. Line managers will ensure measures are put in place to minimise the risks to employee wellbeing, particularly from negative pressure at work. Managers must familiarise themselves with the Health and Safety Executive's stress management standards, and use these to mitigate psychological risks in their teams. For example, managers should ensure that employees understand their role within the team and receive the necessary information and support from managers and team members to do their job. Managers must also familiarise themselves with the Gemini Rail Group policies on diversity and tackling inappropriate behaviour in order to support staff, for example on bullying and harassment issues. ensuring that work stations are routinely assessed to ensure that they are appropriate and fit for purpose with support from your local EHS team. The HR Team will develop company-wide policies and procedures to protect the wellbeing of employees, assist line managers in supporting individuals, and liaise as appropriate with occupational health and other medical professionals, with the object of assisting employees to maintain good psychological health and to add support to ongoing health. Occupational health professionals will provide a comprehensive service designed to help employees stay in work, or to return to work, after experiencing mental health problems. This will include preparing medical assessments of individuals' fitness for work following referrals from line managers and the HR department, liaising with GPs and working with individuals to assist them to retain employment. Occupational health professionals will play a critical part in developing rehabilitation plans for employees returning to work after absences related to mental ill health, and work with GPs and line managers on designing jobs and working environments to ensure that rehabilitation is successful. Occupational health professionals will also assist in the design and implementation of health promotion and lifestyle behaviour management programmes, including initiatives on managing pressure and ongoing health conditions at work. Employees must take responsibility for managing their own health and wellbeing, by adopting good health behaviours (for example in relation to diet, alcohol consumption and smoking) and informing the company if they believe work or the work environment poses a risk to their health. Any health-related information disclosed by an employee during discussions with managers, the HR department or the occupational health service is treated in confidence. The Company will ensure that health promotion initiatives designed to raise awareness of health and lifestyle issues affecting mental health and wellbeing will be conducted as an integral part of Health and Safety communications. Occupational health professionals and the HR department will have primary responsibility for leading these programmes, line managers and employees will be expected to participate. These programmes will be evaluated to determine their effectiveness. encouragement to establish clubs and groups designed to foster wellbeing, for example lunchtime walking or activity. 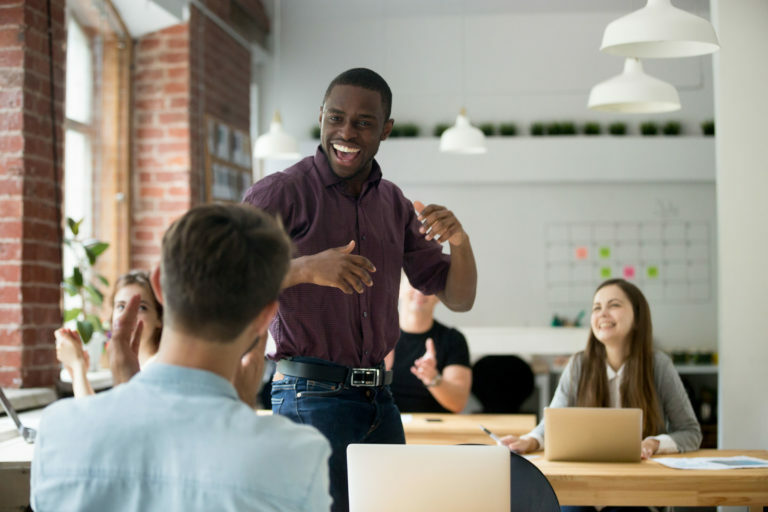 Line managers and employees will routinely review individual training needs to ensure that employees have the necessary skills to adapt to ever-changing job demands. An examination of training needs will be particularly important prior to, and during, periods of organisational change. Managers and employees are encouraged to participate in communication/feedback exercises, including stress audits and staff surveys. All employees are expected to be aware of the importance of effective communication and to use the media most appropriate to the message, for example team meetings, one-to-one meetings, electronic communications and the company -wide methods such as the ESS. The company will ensure that structures exist to give employees routine feedback on their performance, and for them to raise concerns. The Company will consider special communication & media methods during periods of organisational change. The Company’s Employee Wellbeing Strategy is based on the CIPD (Charted Institute of Personnel and Development) model “The five domains of well-being”. 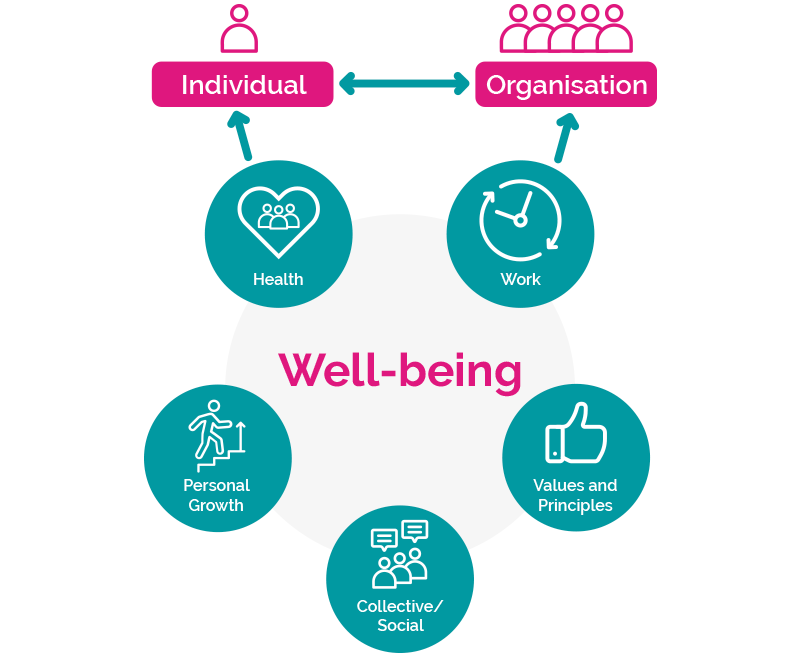 The CIPD well-being model identifies five inter-related domains of employee well-being, guided by the principle that an effective employee well-being strategy needs to go far beyond a series of standalone initiatives. The underlying elements include examples of workplace initiatives and activities to support people’s health and well-being. Health promotion, good rehabilitation practices, health checks, well-being benefits, health insurance protection, managing disability, occupational health support, employee assistance programme. Safe working practices, safe equipment, personal safety training. Stress management, risk assessments, conflict resolution training, training line managers to have difficult conversations, managing mental ill health, occupational health support, employee assistance programme. Ergonomically designed working areas, open and inclusive culture. Effective people management policies, training for line managers, sickness absence management. Job design, job roles, job quality, workload, working hours, job satisfaction, work-life balance. Fair and transparent remuneration practices, non-financial recognition. Values-based leadership, clear mission and objectives, health and well-being strategy, corporate governance, building trust. Dignity at work, corporate social responsibility, community investment, volunteering. Management style, team working, healthy relationships with peers and managers, dignity and respect. Mentoring, coaching, performance management, performance development plans, skills utilisation, succession planning. Positive relationships, personal resilience training, financial well-being. Performance development plans, access to training, mid-career review, technical and vocational learning, challenging work. Open and collaborative culture, innovation workshops.